The perfect studs for the modest yet glamorous woman! 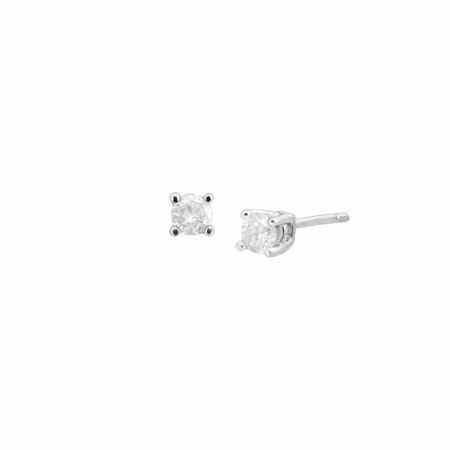 These petite diamond studs, totaling 1/4 ct, are also great for a layered earring look as well, giving you the option to highlight a larger style with these dainty sterling silver studs. Pieces measure 1/8 by 1/8 inches.